We had a bit of a sleep in this morning. Kim then made everyone breakfast which was pancakes with maple syrup, hash brown(homemade) and bacon. We did a collection of eggs which was a little later than normal so there were a lot of eggs so this took a while! We then collected some mulberries again to sell as we sold some more in the morning! We collected a few boxes of mulberries and then got to egg grading again, as well as helping some customers carry their fruit and veg boxes to their car. Kim had to catch 10 chickens too, which was very fun and she was actually pretty good at it! We went to the shop to get some things as we leave tomorrow. Kim managed to break the self checkout machine though which added some time! 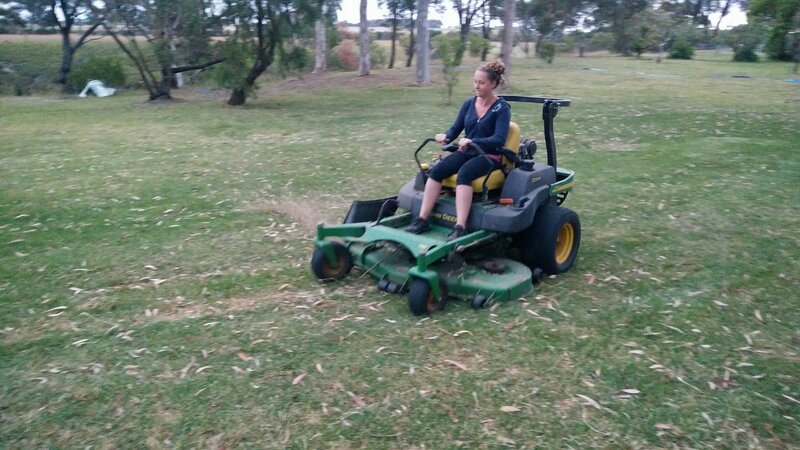 We got back and our host was using the sit on lawnmower and she let us have a go! 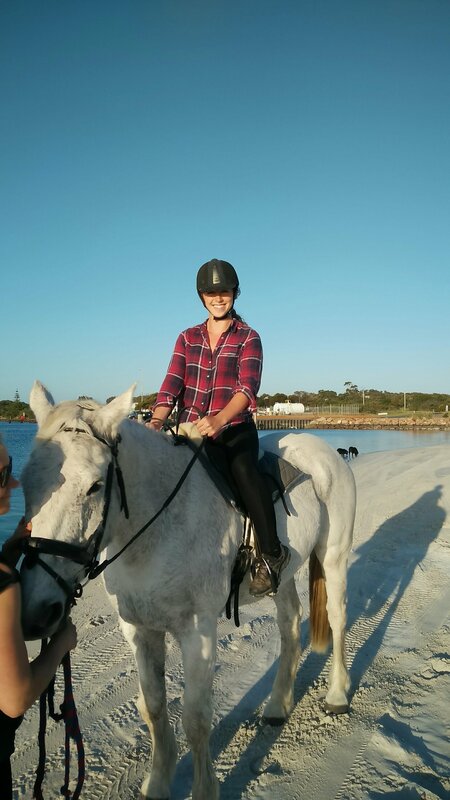 It was incredibly fast and powerful but a lot of fun! 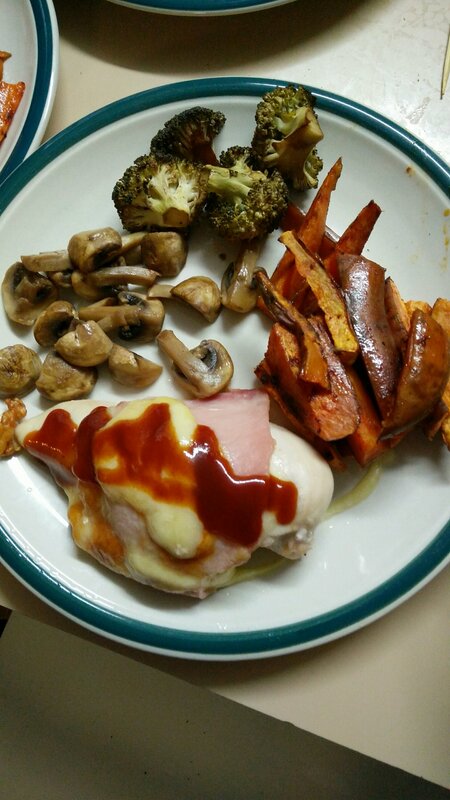 For dinner we have stuffed chicken and wedges! We leave tomorrow, so we are up early to get on the road for a 9 hour drive into the middle of nowhere! Please note: we may not be able to upload a blog tomorrow as we will be in the middle of nowhere without WiFi, so don’t panic! If it isn’t up it will be up the day after, though we will hopefully be able to use mobile data to upload. 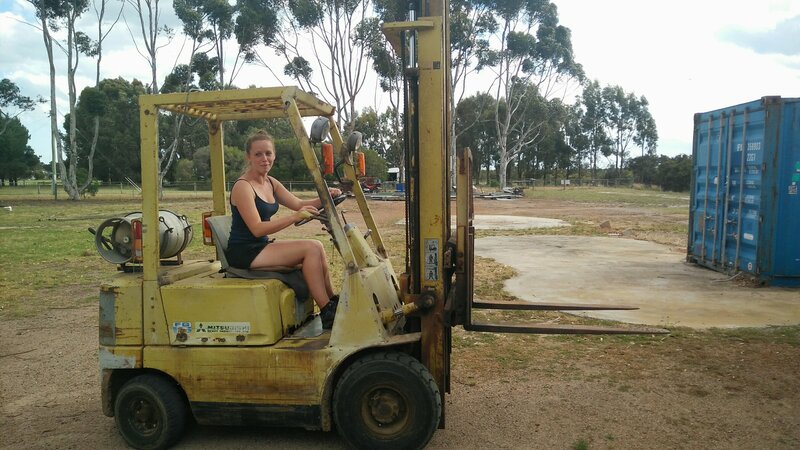 Place 38: Day 3 – Esperance – Fruit & Veg Delivery, Selling Mulberries & Lemons, Driving a Forklift & New Chickens! We started a little earlier today as today was fruit and veg day! On these days, a delivery of fruit, vegetable & mixed comes to the farm and then are placed in the cooler. This delivery was meant to be between 07:30 & 08:00. We were making breakfast and it arrived at 07:10! We scrambled to get ready and unloaded the boxes into the cooler. After this, we packed some eggs and collected some also. Customers then started to arrive to collect there box orders. 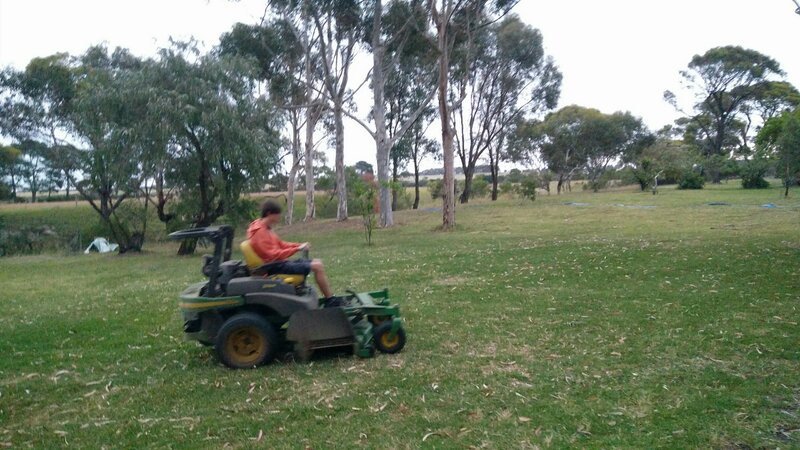 Whilst this was starting, we went out to collect some mulberries, lemons and limes to sell in the shop for a bit of cash! We sold out of mulberries and then collected more and then sold some more, which was awesome! 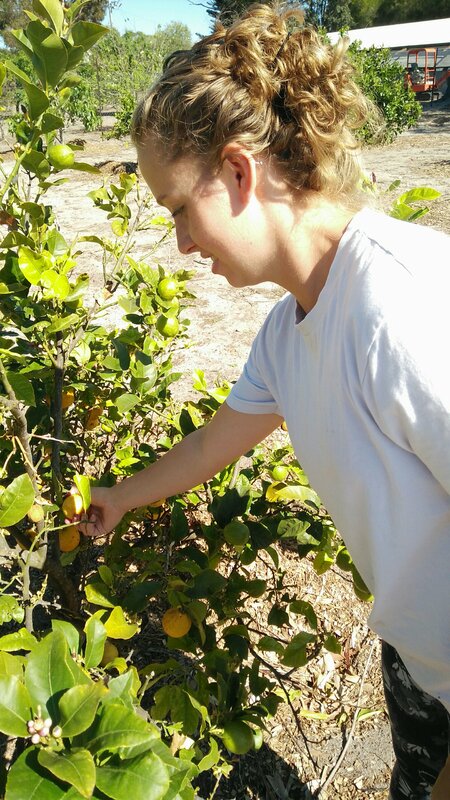 We also sold 12 lemons! 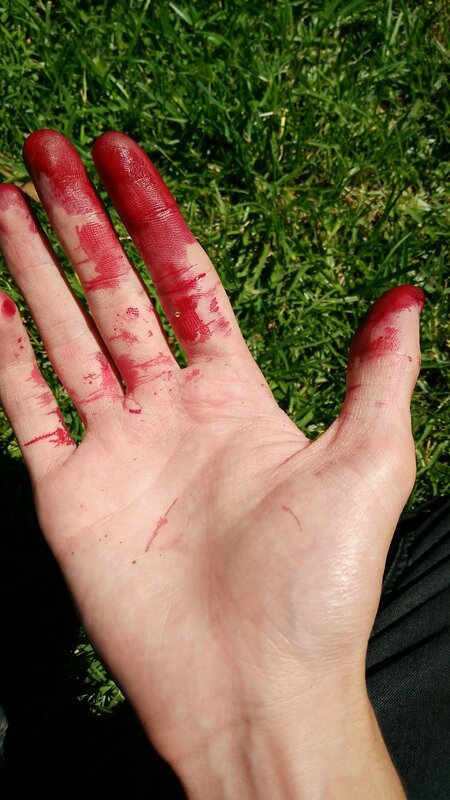 We promise, it’s mulberry juice! We did some more egg grading, tidied up and then we were done for the day! It was about 5 hours but it felt like 10 minutes! Shows that we enjoyed it, I guess! 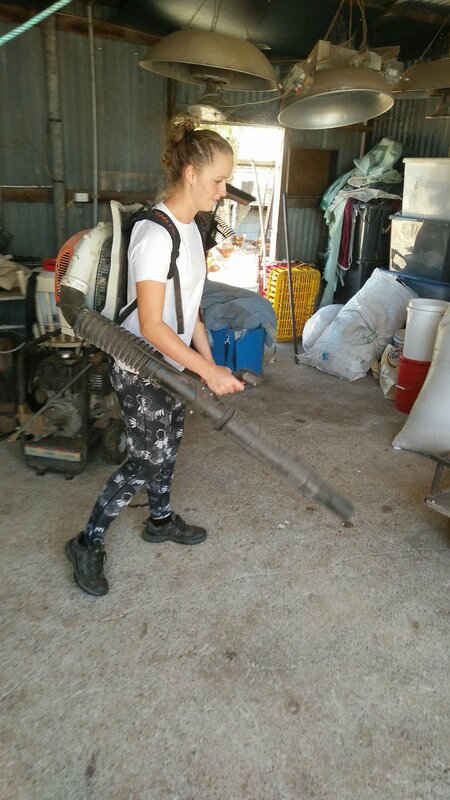 Kim had some fun with the heavy duty leaf blower whilst cleaning, too! We had some lunch which our host made us. 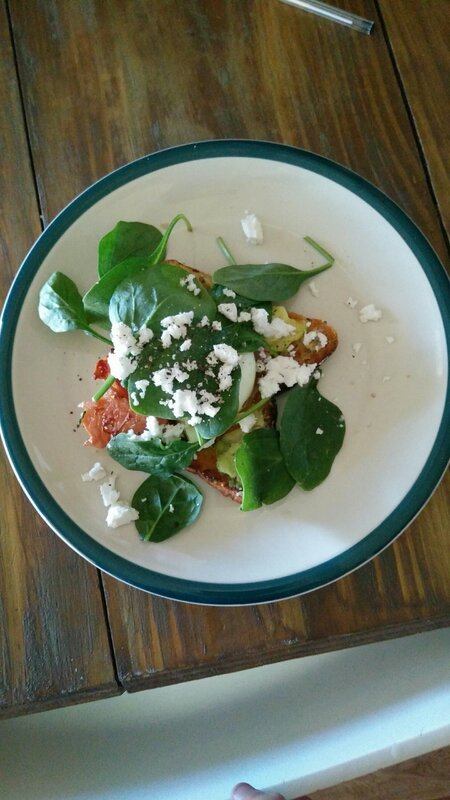 This was avocado toast with a poached egg, bacon, salad & feta cheese. It was tasty! 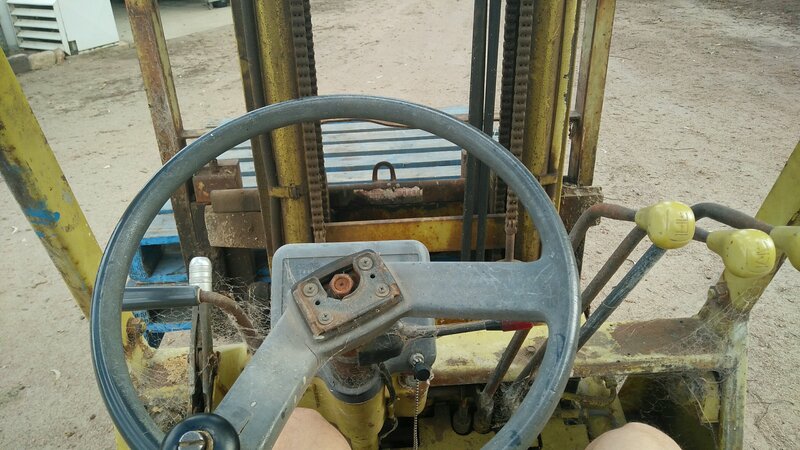 We did a few odd job things, like getting to use a forklift! We moved some pallets around. 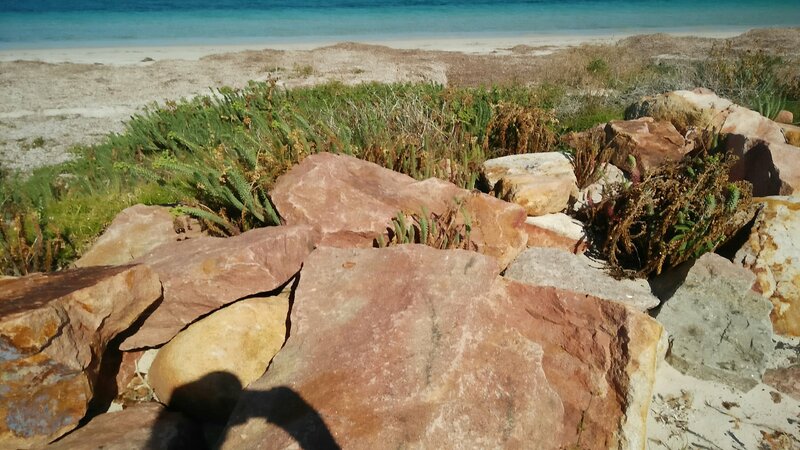 All of a sudden, the wind picked up and sand & other items were being flung around the place! Trees were loosing branches and it was a little bit of chaos! We looked into some places that we need to get booked and then we went out for dinner! We went to a pub down the road where we had a nice stone baked pizza! Curtis had a BBQ chicken one and Kim had a Margherita. We got back from the pub and waited on the arrival of 808 hens! These chickens arrived in cages, which we had to open and lift out the chickens. This took a surprisingly long time, but the chickens seemed happy and liking their new home! We never thought we would be lifting 808 chickens from cages into a coup! We started the day at 07:00, showered, had breakfast and went straight over to the shop where the eggs are sold to get grading and packaged. 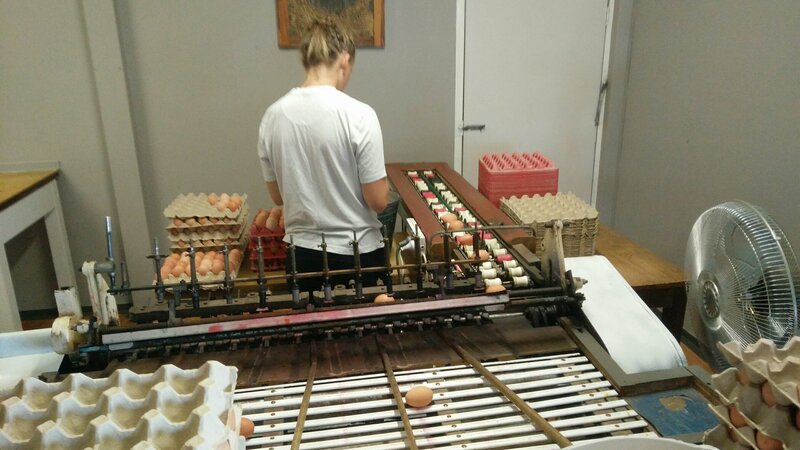 The machine, which was made in the 1940s, sorts the eggs by weight, stamps them and puts them into each weight’s section of the machine. Once this is done, the person on the end will put them into the required egg carton, stamp them with the best before date and put them in the correct crate. This was actually very fun and kept us busy, all whilst learning about eggs! 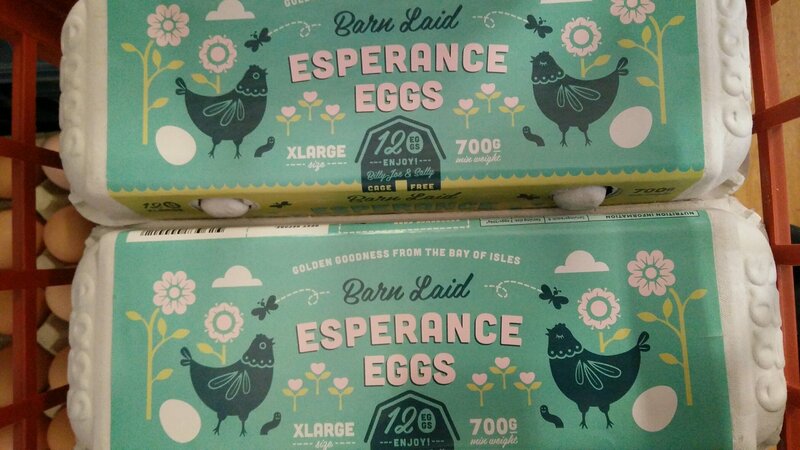 We finished the first batch of this and then collected eggs from the chickens again before continuing with grading. We had a few customers come in and purchase eggs and one set of people were very interested in the machine and how it works which was nice. Our host bought us a wonderful iced coffee which was made with ice cream and was probably the best thing we have had ever..
After this, we were pretty much done with work, other than a bit of egg cleaning and cleaning up the area. We needed to the run and complete some errands such as getting fuel, taking back some items to target and buying some more items. 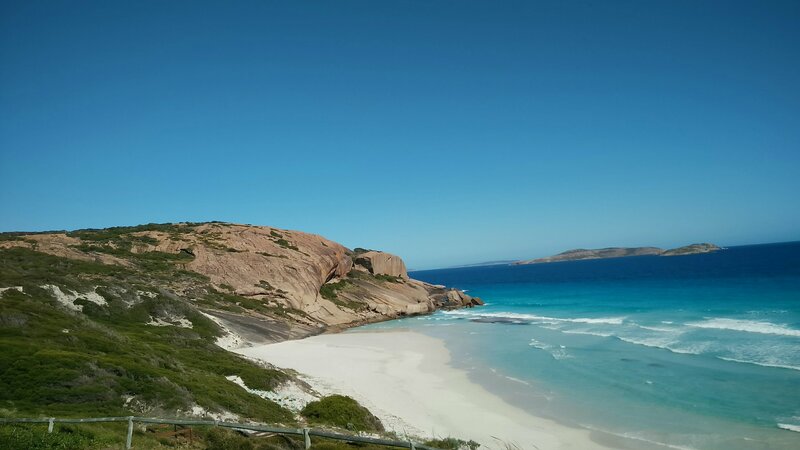 We picked up some dinner ingredients from the supermarket and then went on the Great Ocean Drive which is a tourist drive here in Esperance. 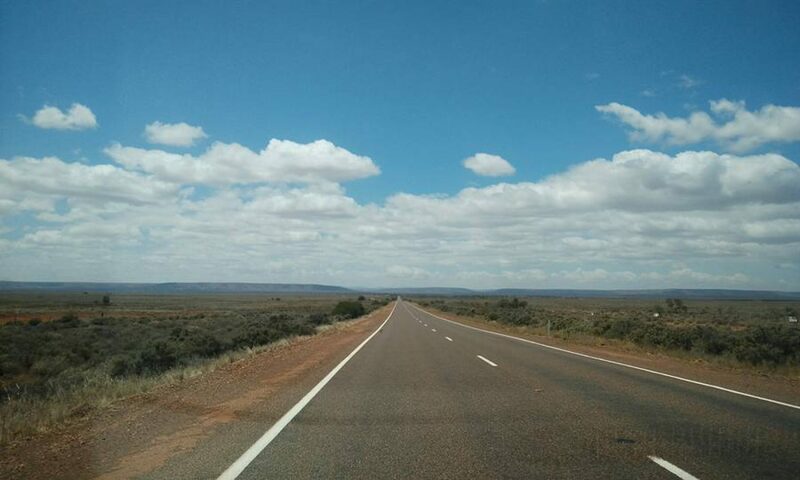 This drive goes around the coast for 30km and the are some beautiful beaches and scenes around here. 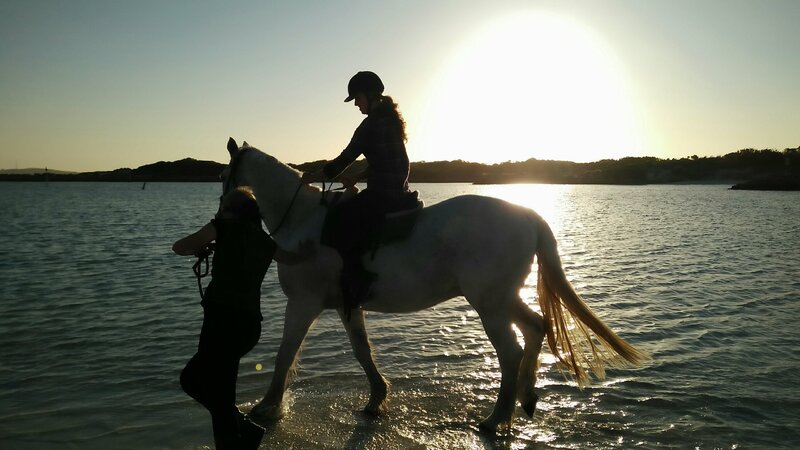 We stopped a few times, took photos and went to the beaches. We didn’t do the whole journey but what we saw was beautiful! 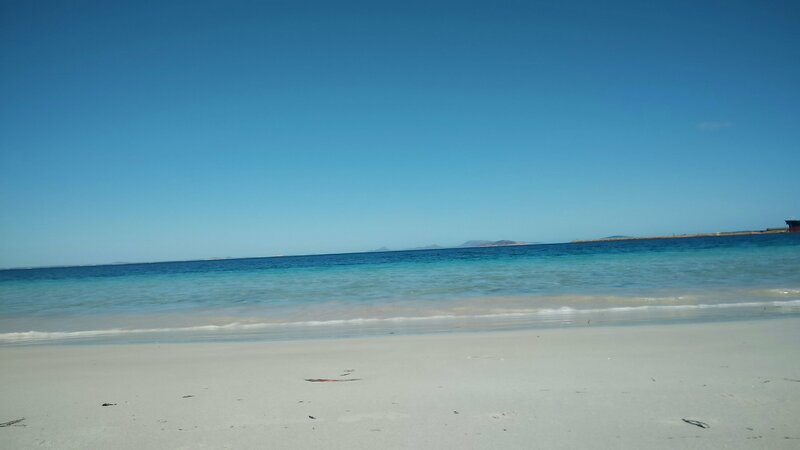 We headed back and when we got back we went straight back out to another beach with our host. 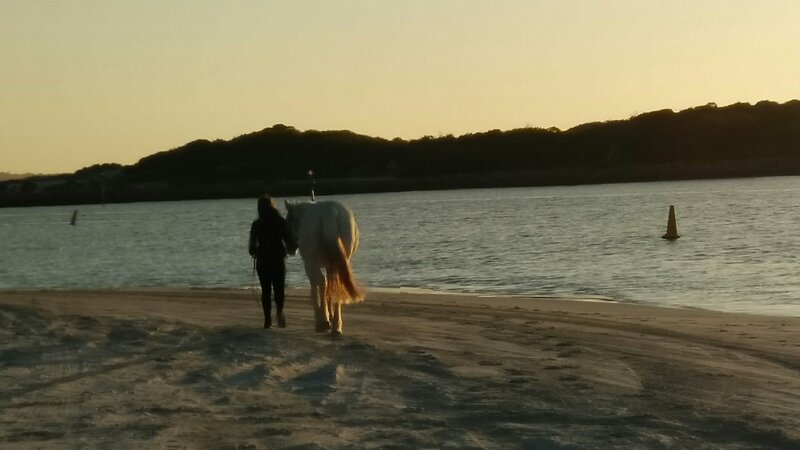 We took the dogs and a horse, did a walk on the beach before getting the horse out and Kim had a ride! Kim was taught how to do it which was very kind of Sally, our host, and Kim had a great time! 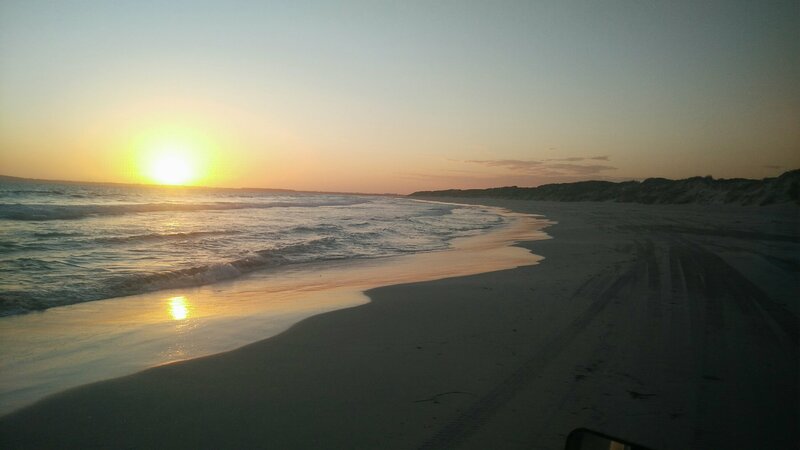 We took a drive on the beach and see the sunset on there which was amazing! 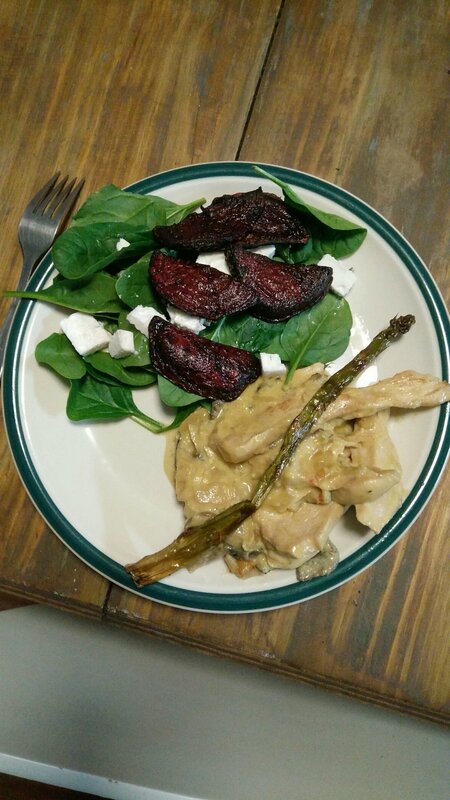 We got back and Kim made a wonderful dinner of good old Hunter’s chicken. It was lovely especially accompanied by soy & balsamic vinegar broccoli and sweet potato wedges! 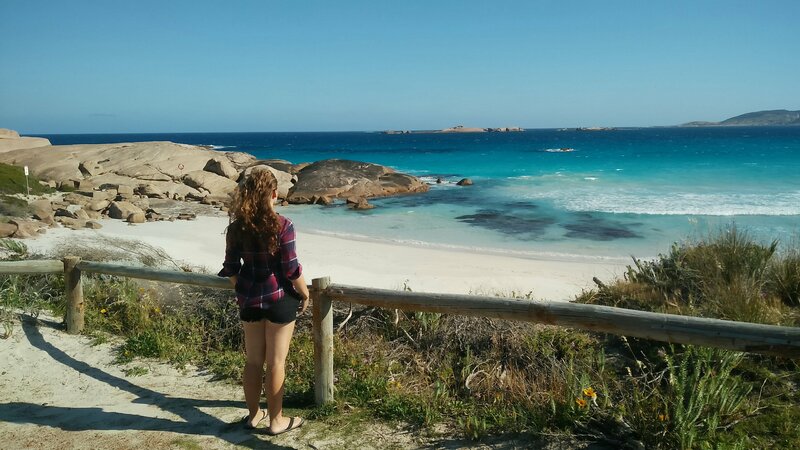 Place 38 – Day 1: Esperance🇦🇺 – 6.5 Hour Drive & An Egg Farm! We were up and out of our lodge at around 10:30/11:00 this morning with a 6.5 hour drive ahead of us! 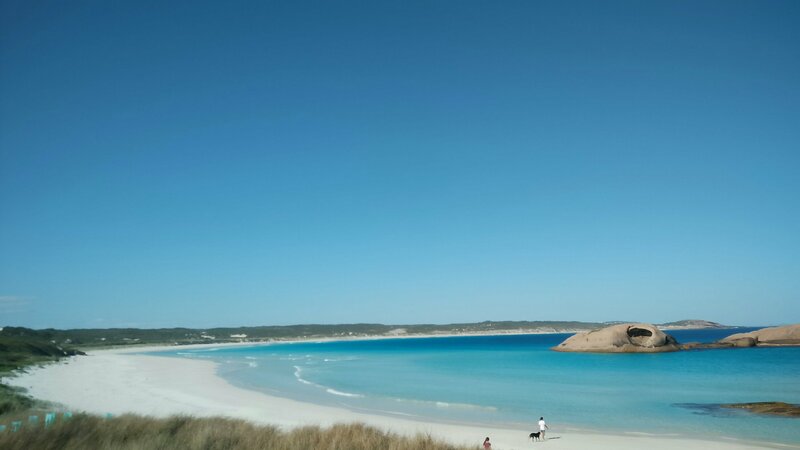 We drove from Walpole to a place called Esperance, where we are now! 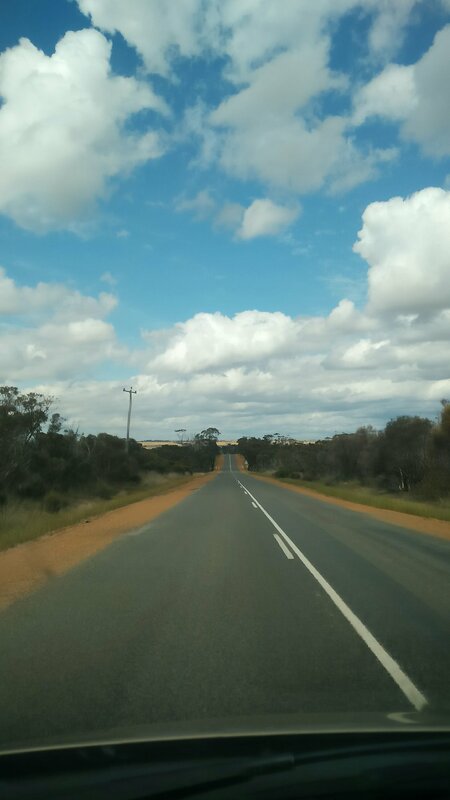 This drive was very easy and was just one straight road, though it did look awesome when driving along them! 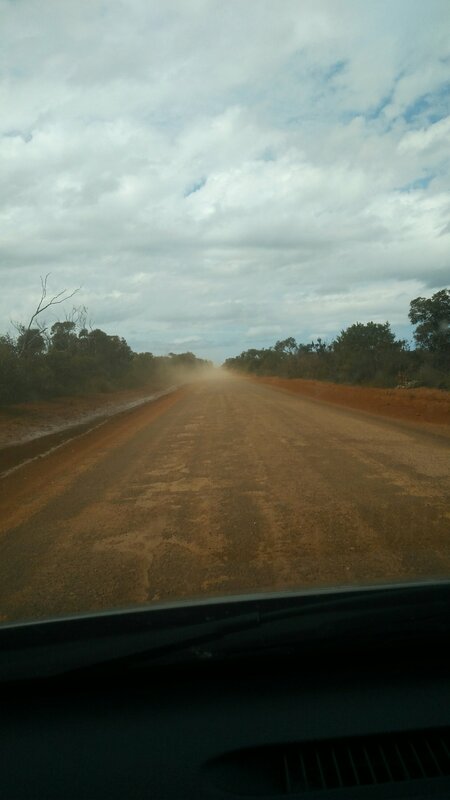 At one point, we had to take a diversion onto a gravel track road, which added a little excitement to the drive! Along the route we stopped at a place for a leg stretch. This place was called ‘Jerramungup’. 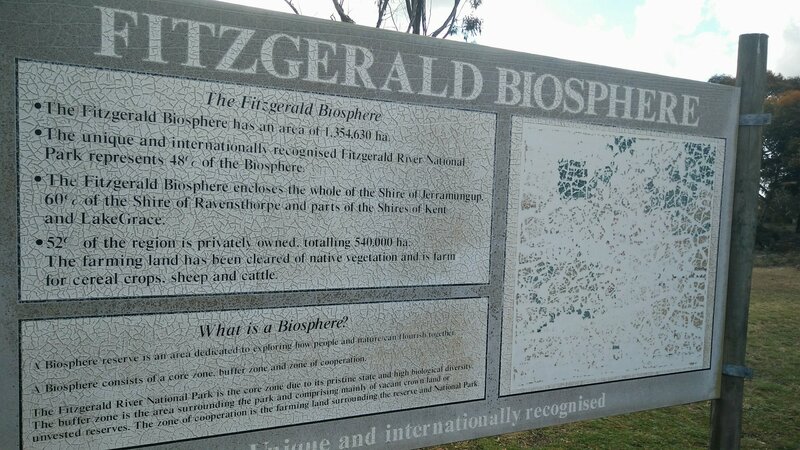 This was a small town, but according to a sign we saw is part of the biosphere area, which was an interesting fact! 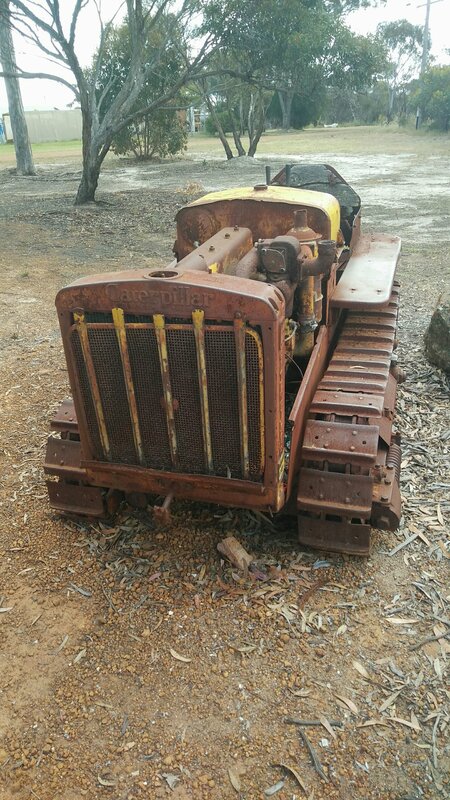 There was also a very old tractor next to the sign, too! 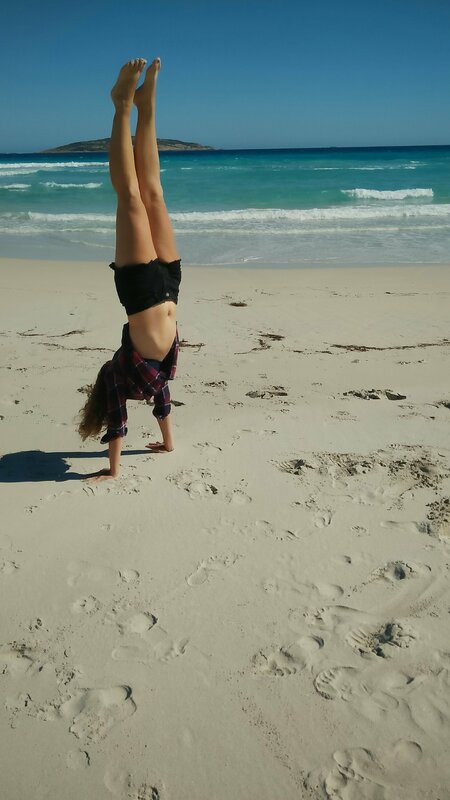 We continued on and made it to our place we are staying in Esperance. We are doing our first ‘Workaway’ (like HelpX). We are working on an egg farm! This is a fairly large farm just owned by one woman with one employee and a few friends helping out. We will be doing egg collecting & sorting, using an old 1940s machine, as well as some other tasks. We arrived and were welcomed by the owner who is absolutely lovely! 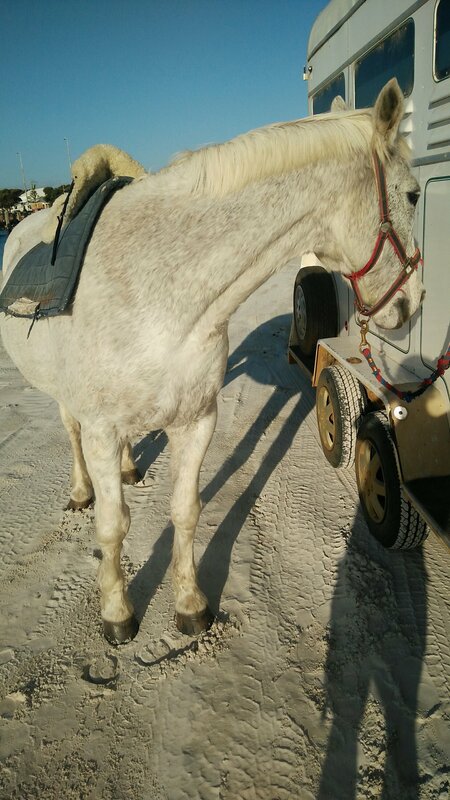 We had a chat for a bit along with a coffee and then went out to collect some eggs and feed the horses. 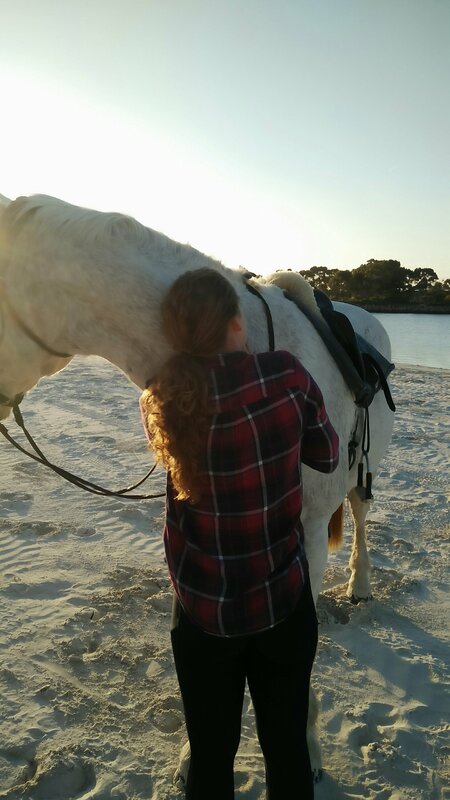 The horses were beautiful and we will show you some photos when it isn’t dark! There are a lot of chickens and therefore a lot of eggs..put it this way, just yesterday over 2000 eggs were found! These are sold from here in a little shop as well as chickens! We then had a few beers and long chats over dinner which was chicken in a wonderful homemade creamy mustard sauce with mushrooms and asparagus. This was accompanied by some salad with feta cheese and roasted beetroot crisps. It was a great dinner and incredible tasty! We aren’t too sure how long we are here, but we do have another location we are off to next.